Dixons Travel has signed a 12-month contract to continue operating on P&O Cruises’ Ventura vessel following a successful six-month trial period. Last August the electronics retailer opened its first Dixons Travel cruise store on Ventura. The 274sq ft outlet was located in a central position on deck seven. Guests had the chance to purchase the latest technology at cheaper prices than online. The outlet has increased by around 50% in size and slightly re-located since the signing of the contract. Constantly trading while the ship was at sea, opening times otherwise varied in accordance with daily port departure times. The Dixons Travel store onboard Ventura provides a wide range of technology brands in one place for guests while they travel. Brands such as Apple, Beats, Canon, Samsung, Microsoft and Monster were all represented during the test period. Top-sellers included binoculars, a surprise hit among guests and tablets. Shoppers made the most of online-beating prices along with the retailer’s ‘Double the Difference’ promise. If the same item was found cheaper at Amazon, John Lewis, Argos or Jessops (third party sellers excluded) consumers received an instant discount of double the difference. 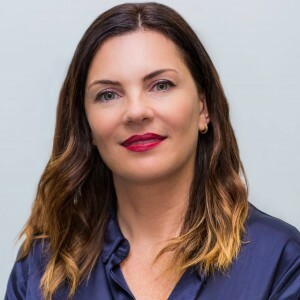 Heidi Woodhouse, Managing Director Dixons Travel and Concessions at Dixons Carphone is exploring further cruise opportunities following the signing of the P&O contract. Speaking to TRBusiness as part of a wide-ranging interview, Heidi Woodhouse, Managing Director Dixons Travel and Concessions at Dixons Carphone said: “We signed the contract about six weeks ago after a successful testing period. The store is doing well and really interesting. Revealing to TRBusiness its findings during the six-month trial period, Woodhouse commented: “We found there was a different type of customer to the airline customer, but in terms of the proposition, training and all that kind of thing it was the same. 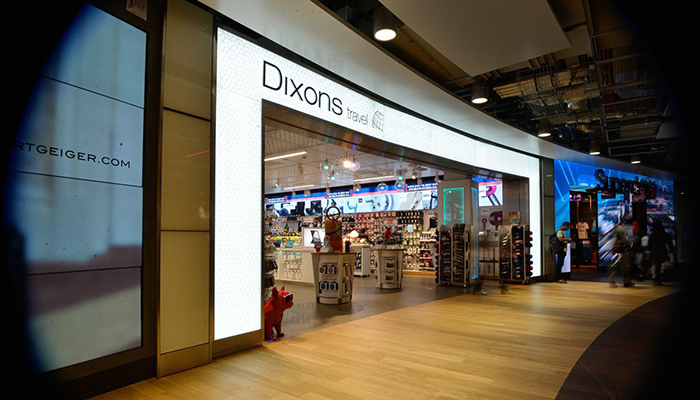 Meanwhile, Dixons Travel is to open new German stores at Frankfurt (two airside stores) and Düsseldorf International Airports (three airside stores) in the first quarter of the next calendar year. As reported, each store will merchandise leading brands as part of varied portfolio that includes computing, audio, imaging, phones and smart appliances and replicate its award-winning format launched in Heathrow T3 last year. Product demonstration zones and a mobile charging area will also feature, with store experts available to handle repairs and enable passengers to demonstrate smart-controlled technology. Currently, Dixons Travel operates stores in all major UK airports, along with two outlet in Dublin Airport and two in Oslo Gardermoen. In related news, Woodhouse has confirmed to TRBusiness that the Heathrow T3 store concept will soon be rolled out in T5. “We are going to be rolling it out [in Heathrow T5] in September. It will be refresh of our current T3 store which is our largest and flagship outlet. See a future edition of TRBusiness for more from the interview with Heidi Woodhouse, Managing Director Dixons Travel and Concessions at Dixons Carphone. Dixons Travel is present in all main UK airports and runs stores at Dublin and Oslo Gardermoen. Tuesday 27thJuly 2018: Today, Europe’s leading airport electrical retailer, Dixons Travel, has announced the opening of its first store in Belfast, at the International Airport. Belfast International Airport is Northern Ireland’s principal airport and the second largest gateway on the Island of Ireland ‐ providing the perfect opportunity for Dixons Travel to offer their high‐end computing and mobile technology to a continually expanding customer base. From opening day until Tuesday 14th August 2018, the new Belfast store will be running a special summer offer. All customers who enter the store will receive a free £20 voucher to spend at lastminute.com on flight and hotel packages. No purchase necessary. Heidi Woodhouse, Managing Director Dixons Travel and Concessions at Dixons Carphone, comments:“We’re excited to be opening our first store in Belfast, and our expertly trained colleagues can’t wait to share our extensive product range, exclusive deals, and competitive online beating prices with the Northern Irish market. The new store provides passengers with the chance to purchase the latest technology in time for the first and last flights of the day.